Some Resistance pilots noticeably absent in Rian Johnson’s The Last Jedi were members of the Black Squadron, normally led of course by Captain Poe Dameron. 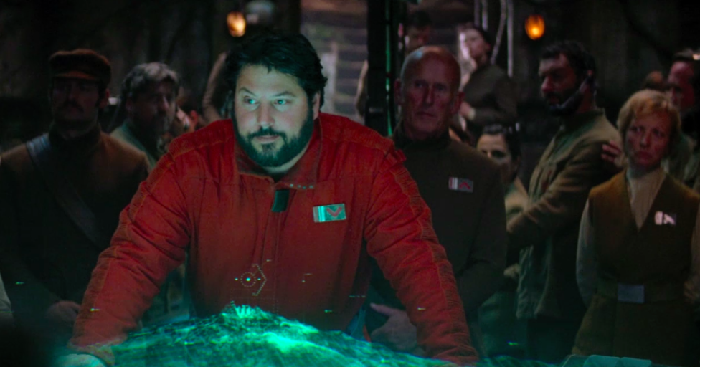 In a recent interview at San Diego Comic-Con actor Greg Grunberg, who played Temmin “Snap” Wexley in 2015’s The Force Awakens, might have revealed we could see a return to action for the Black Squadron pilot. While not directly mentioning Episode IX or J.J. Abrams, this answer was in response to the question of whether he would be returning to Star Wars so yeah, kind of seems that way. With the Resistance splintered and down to very few numbers, it makes sense they would need as many people as they could muster to fight the First Order. While the First Order, now led by Kylo Ren, definitely experienced a setback at the end of The Last Jedi, they are by no means at a disadvantage and are more determined than ever to wipe out the good guys. But where exactly were Wexley and the other Black Squadron members during the Resistances’ most perilous time anyways? Well, in the Jason Fry’s The Last Jedi: Expanded Edition novelization, we learn that General Organa sent Wexley, Jessika Pava and other Resistance pilots on a mission after the destruction of the Starkiller Base at the end of Episode VII. Organa sent them to gather the New Republic’s surviving commanders after the Starkiller Base had wiped out the planets in Hosnian System. Fearing the Resistance would need as many able bodies as they could find, the hope was that the entire New Republic’s fleet wasn’t lost in that cataclysm. We have to assume the Black Squadron members heard the distress call from Crait the remaining Resistance members sent out at the end of The Last Jedi so why didn’t they respond? Hopefully because they were too busy either fighting the First Order or gathering recruits. Either way, here’s hoping it will all be explained in the final episode due out next year. With Kylo Ren and General Hux hot on their heels, the Resistance will need Wexley, Pava and anyone else willing to lend a hand. Not to mention their return would greatly boost the confidence of Poe Dameron who is the leader of Black Squadron and is definitely more effective when he’s got his friends around him. A full-scale war is being rumored for the final episode in the J.J. Abrams trilogy so the more pilots the better is likely a maxim the Resistance is embracing. We’ll see. The still untitled Star Wars – Episode IX is due out December 2019.